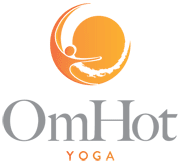 I am so excited to bring you our 1st Bikram Yoga Workshop! I have always wanted to host a workshop, but the present climate of the Bikram Yoga world and the fact that so many of the people who are currently leading workshops seem to be so ego driven. Well, I just couldn't find anyone I was comfortable enough to bring into this community. I have to say I interviewed and challenged Esak through numerous emails and a lengthy phone conversation and he handled himself beautifully! I have also spoken with numerous folks about his seminars. He is very well versed in the physical aspects of the postures. That's what I want for us. God knows I beat you over the head with the meditation and stillness, but I want someone to challenge us a bit more with the forms of the asanas. Esak will do just that. I want you to make this a priority. I have purposely made this seminar very affordable. The Seminar will take place from 12:30pm - 4:30 (3pm Bikram and 5pm Yin Yoga Class will be cancelled) and there will be a Bikram class (taught by Esak) from 5 - 6:30pm.